At this time of year around 20 airliners a day, land here in the capital of Finnish Lapland, disgorging families from scores of countries, and bringing wide-eyed children to a reliably snowy place that is, for youngsters at least, a convincing recreation of the North Pole. ROVANIEMI, Finland — Here in Santa Claus Village, near the Arctic Circle, is the self-anointed “Official Santa,” a Finn who refused to give his real name, insisting he was actually Mr. Claus. The dedicated Santa postal code of 96930 attracts half a million letters a year. And for those who fret about the growing secularization of Christmas — with each year more and more X, and less and less Christ — they need only drop in here to confirm some of their worst fears. Rumor has it there is a crèche somewhere in Santa Claus Village, but finding it is a challenge. Despite temperatures in the single digits Fahrenheit, according to current figures, 330,000 people from 180 countries come to visit Santa, purchase 50-euro ($60) photos with him and patronize the dozens of Christmas trinket shops. 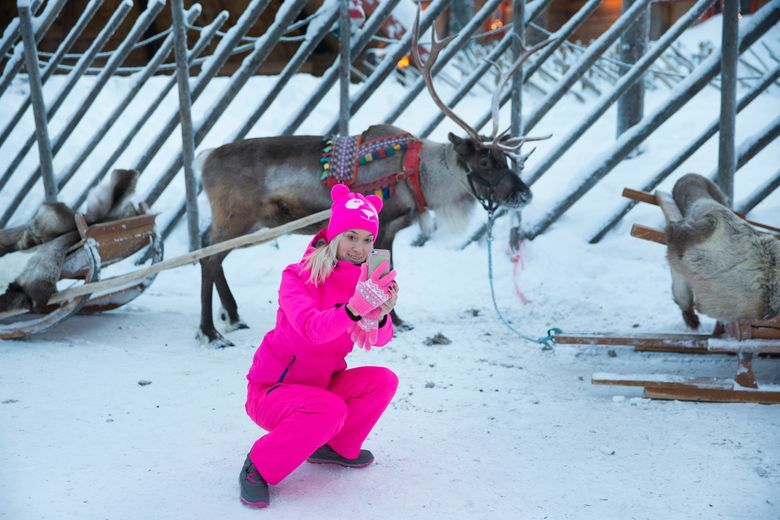 That nearly equals the combined total of reindeer (200,000) and people (180,000) in Lapland; tourism growth this year in Rovaniemi (population 50,000) is 25 percent, said Sanna Karkkainen, the managing director of Visit Rovaniemi, the tourist board. “We added 1,000 bed places just this Christmas season,” she said. Many of the tourists are neither Christians nor even from countries that celebrate Christmas. The largest single group of visitors are Chinese, who typically come without their children because there are no school holidays this time of year in China. Joulupukki is the name of Finns’ traditional Santa Claus figure, but therein lies both the rub, and the triumph, of marketing. Literally the name means Yule Goat, and the Finnish character historically was a sort of troll who was used to threaten children who were naughty. Fifty years ago, travel marketers got the idea to attract tourists to remote Lapland and settled on Rovaniemi for its train station and airport. For many years, though, the Santa Claus attraction jostled for visitors with tours to see the Northern Lights or go on reindeer safaris; most of those who came were from countries with a strong Christmas tradition, bringing children along on the ultimate Santa’s Grotto experience. Barry and Leanne Smyth, from Ireland, brought their daughters, Lauren, 9, and Jodie, 4, here last week, after a box of presents arrived at their house early with a note inside from Santy (as they know him in Ireland), inviting the girls to visit him in person. They found a flight to Helsinki, then all four crammed into a compartment with two beds on the overnight train to Rovaniemi, 500 miles to the north. “We didn’t sleep a wink,” Smyth, an accountant, said. “But the girls loved it.” The girls thanked Santa for his invitation (the parents exchanged a furtive glance) and asked, as many children do these days, for a slime factory. In 2010, Xi Jinping, then the Chinese vice-president, came on an official visit to Finland and detoured up here, posing for photos with Official Santa Claus. Tian Zhang was here then, studying for her master’s degree, and would only rarely see another Chinese. She never imagined what would happen next. “Xi Jinping became the president and everyone in China says Finland is a lucky land,” she said. 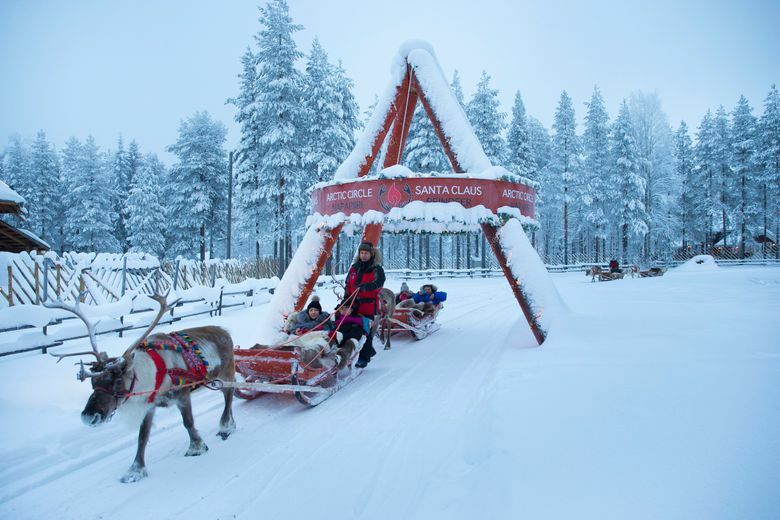 Chinese tourism steadily increased, helped by Finnish official visits that marketed Lapland as Santa’s home tundra. In recent years, Santa tourism has grown so drastically that “It’s like everyone is building a hotel,” she said. Now an entrepreneur and married to a Finn, she was in charge of one of the new hotels, the first Chinese-financed one. It opened five months ago and is already running at full occupancy, she said. Three 30-year-old women from Macau found it hard to explain why they had come, as they waited for their portraits with Santa to be printed. One of the women, the Santa confided later, asked him for a boyfriend, which he said was a common request from unmarried Asian women. At the Rovaniemi Lutheran Church where the local pastors Topi Litendahl and Elina Rask-Litendahlthey work, Christmas Eve services are in several languages, including English, Hebrew and Arabic, just in case any tourists want to stop by. Every year only a couple of dozen do, about the only visible religious aspect to the tourist juggernaut. “The Santa Claus of tourism and the Christmas of Christian faith, they can coexist quite nicely,” Rask-Litendahl said.